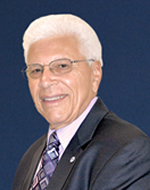 PUEBLO -A vice president and client executive for HUB International Insurance Services, Inc., will receive the second annual Lifetime Business Achievement Award from Colorado State University - Pueblo's Hasan School of Business in November in honor of a professional career of more than 50 years. Ralph Williams will be honored during a formal event at the Sangre de Cristo Arts Center on Saturday, November 5. A dessert reception and cash bar will open at 7 p.m. in the White Gallery on the third floor of the Helen T. White Gallery Building with the presentation to follow in the Arts Center Theater at 8 p.m.
Before assuming his present position, Williams, a graduate of Colorado State University - Ft. Collins, served for 29 years as president and CEO or Steel City Agencies (SCA Insurance). He had been at SCA Insurance for 43 years. Williams has served on the advisory board of directors of the CSU-Pueblo Hasan School of Business and on the advisory board of directors of Vectra Bank Colorado and the YMCA of Pueblo. Currently, Williams serves on the board of trustees of the CSU-Pueblo Foundation and as a member of the board of directors for the Historic Arkansas Riverwalk of Pueblo (HARP) Foundation. Williams has received many special recognitions including the Greater Pueblo Chamber of Commerce 2014 Citizen of the Year. He received the American Red Cross Humanitarian Award in 2013 and the Greater Pueblo Chamber of Commerce honored him as the 2004 Business Leader of the Year.